A while back we talked about the ultimate overland camping rig, the Earthroamer XV-HD, which would take you literally anywhere you wanted to go while providing you with a five-star level of luxury. As far as an off-road RV, that was about as good as it gets. But what about the moto enthusiast that has a need for speed rather than the need to spend the weekend in the backcountry? That’s where the ultra-luxurious Vario-Mobile Signature 1200 comes in to save the day. 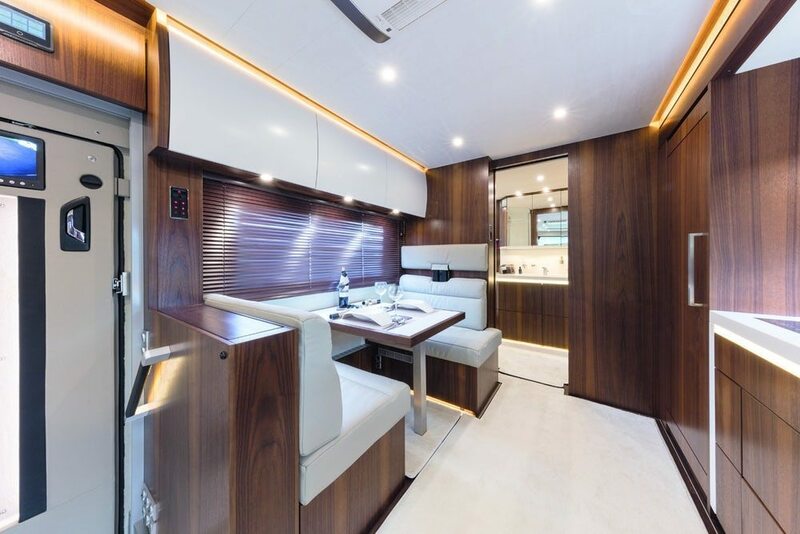 Not only will this million dollar motorhome wrap you in a level of luxury fit for royalty, but it’ll provide you with an opportunity to get your speed fix whenever your heart desires. While the Signature 1200 does have a Mercedes-Benz six-cylinder turbo diesel packing 523hp and a mountain of torque, it’s not going to win any races. Especially considering it’s a 39ft behemoth that weighs as much as a house. Instead, it has a trick up its sleeve that’ll allow the operator to go fast, all they need to do is pull over and push a button. 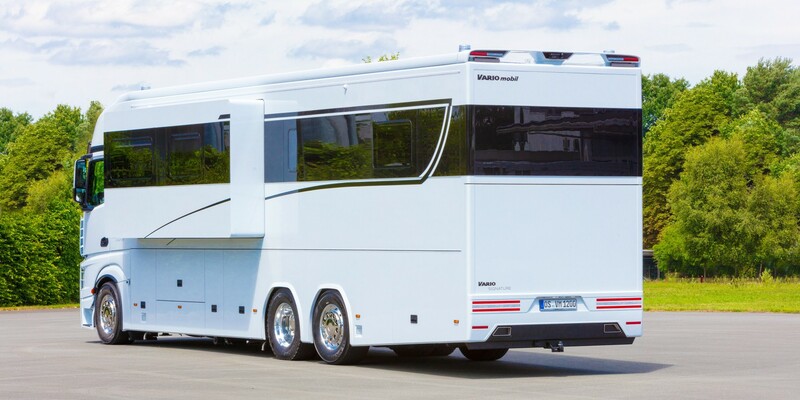 As I’m sure you’re starting to gather, this isn’t your ordinary motorhome. 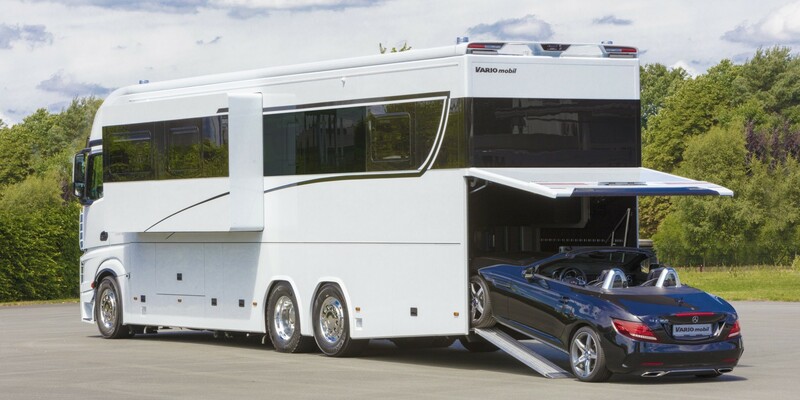 In fact, it’s the perfect combination of motorhome and car carrier thanks to a special compartment built in that’s specifically designed to carry a small sports car such as a Porsche 911, or something along those lines. Vario-Mobile has numerous options regarding garage sizes that range from the entry level that’ll carry something tiny like a Smart car or Fiat 500 all the way to the “XXL” offering that’ll fit your 911. Of course, the XXL option is the one that’s most intriguing to us. That because we’re picturing coming up on a gorgeous canyon road early on a Sunday morning when there’s little to no traffic, pulling over and pushing the button that activated the hydraulic ramp and unloading your 911 Turbo. Well, since it’s a fantasy, it may as well be the 911 GT2 RS right? The point being, you would literally be able to carry the ultimate toy on-board so that you could use it whenever you wanted. As far as luxury goes, if the Earthroamer is considered five-star, the Signature 1200 would be a six star if such a thing exists. 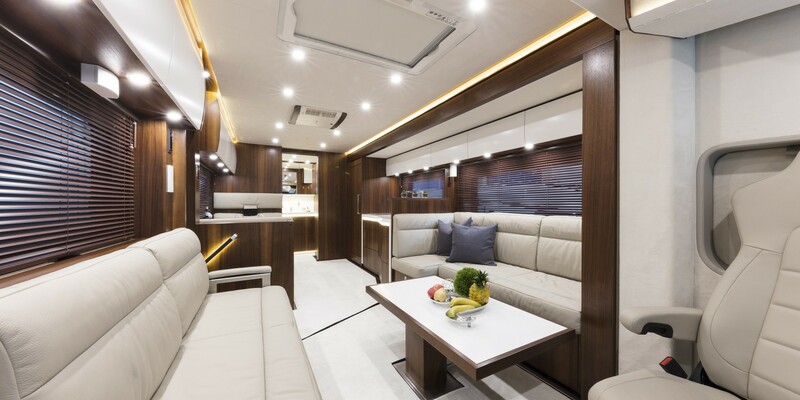 Every square inch of the massive cabin is designed and built using the best materials money can buy. 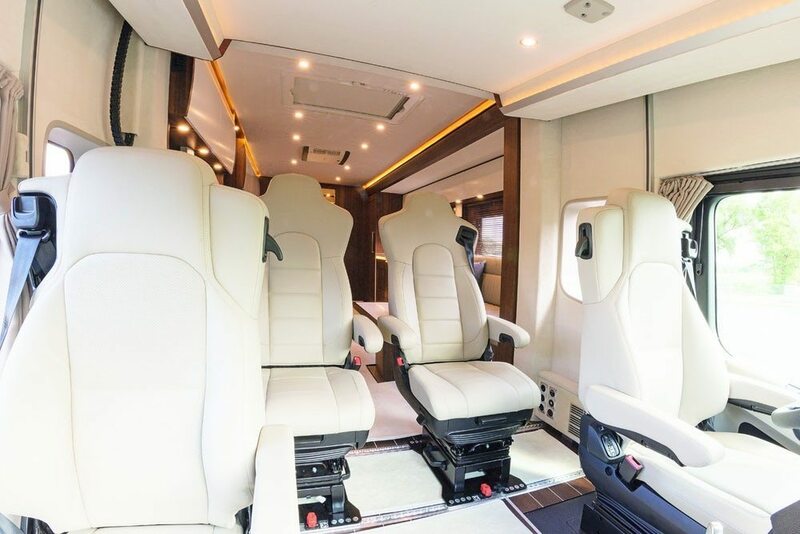 And while Vario-Mobile does give recommended configurations, each vehicle is fully customizable to fit whatever your needs may be. 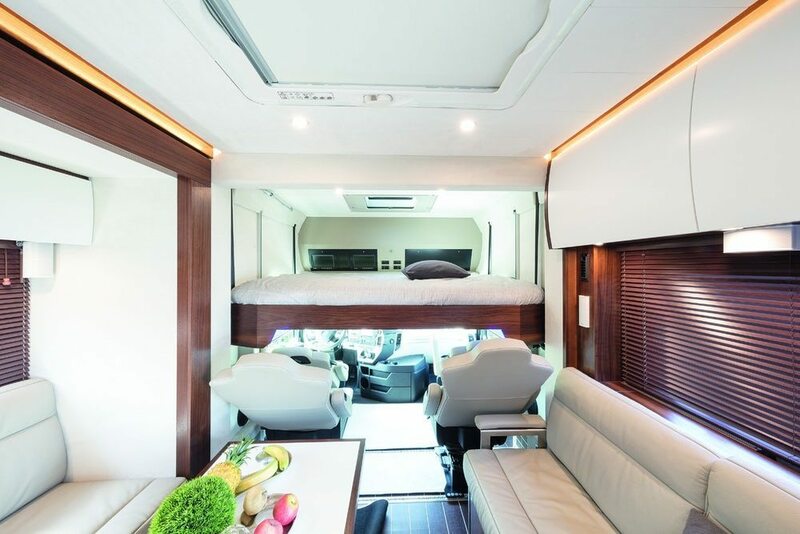 On average, the 1200 can comfortably sleep four to six people plus 2 children if you choose the optional pull-down bed that sits directly above the captain’s chairs at the front of the vehicle. The options are quite literally endless to the extent that if you can dream it, and more importantly pay for it, Vario-mobile will attempt to build it. For example, let’s say you wanted heated and air-conditioned flooring, no problem. 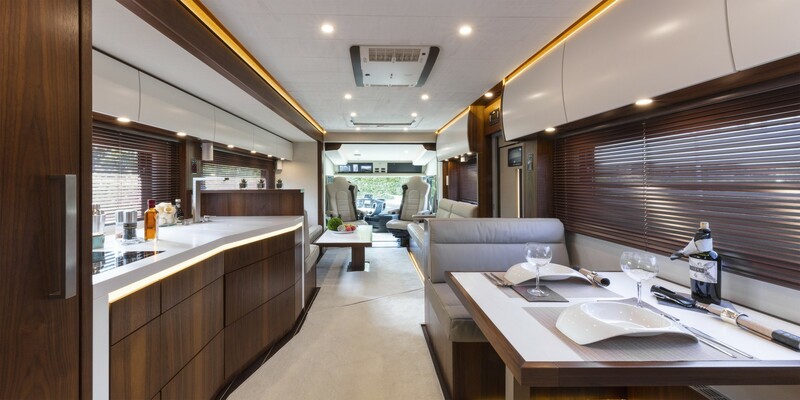 Fully integrated infotainment system that includes a Bose sound system, LED big screen TV, and microprocessor-controlled ambient lighting, no problem. 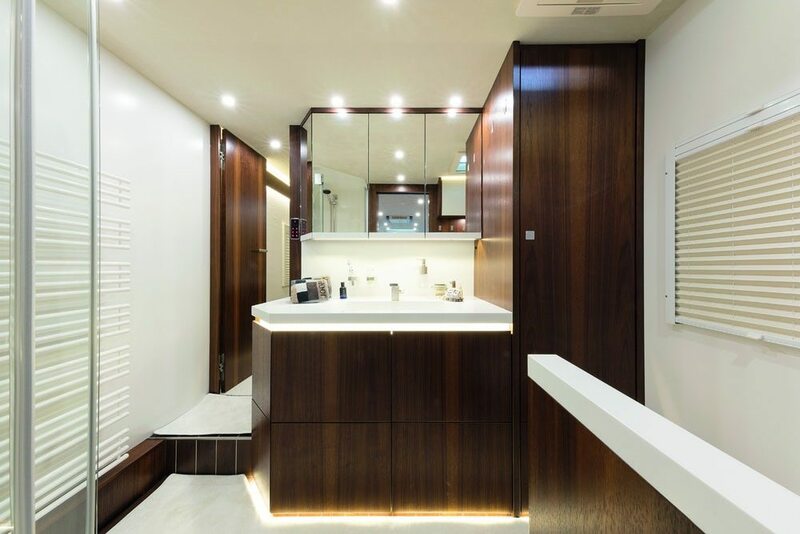 That’s on top of the standard equipment such as a washer and dryer, full bathroom with mineral stone sink, dishwasher, touchscreen-controlled cooktop and top of the line refrigerator. 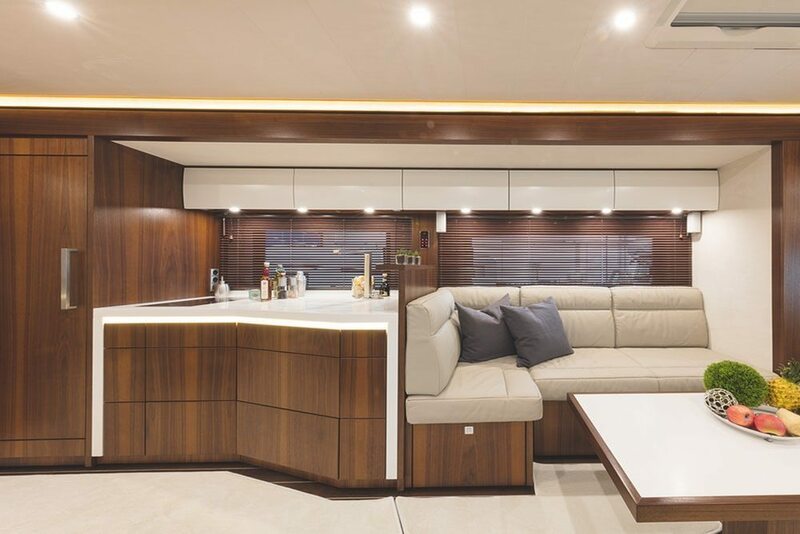 The Signature 1200 is fairly self-sufficient too thanks to onboard solar panels, diesel generator, and massive water reserves. 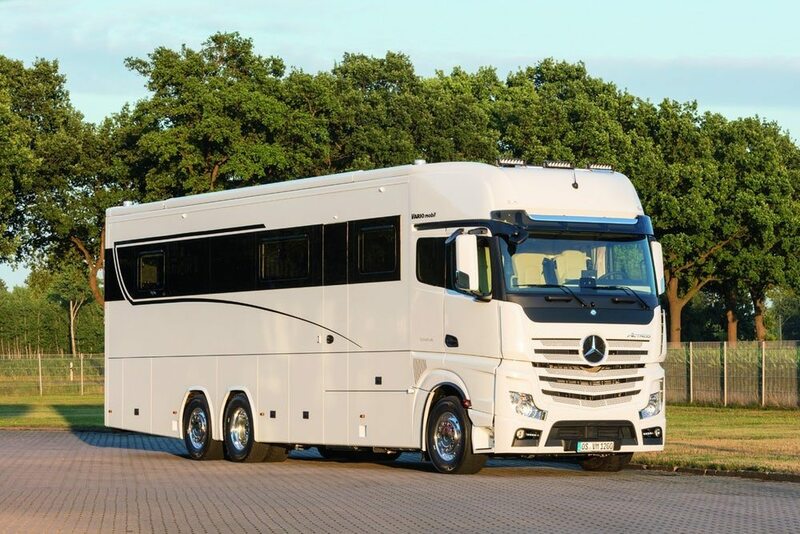 Just like the Earthroamer, this level of luxury doesn’t come cheap. A “standard spec” Signature 1200 will set you back at least $900,000, but with so many options available, it’s not difficult to get that number well into the seven-figure range. But just knowing that underneath all the endless luxury sits your favorite sports car seems to make it all worth it.